CrossFit saved my life 5 years ago. From an unhealthy 40” waist with Cholesterol over 490 – to the 32” waist of my 20’s, cholesterol under 225, I can crush most workouts at 61. A massive change. Now the future is not defined by increasing degrees of decrepitude, but by how far can the threshold of health & fitness be pushed. The goal is to be there for my sons Christian and Shea, to be fittest Grandpa my as of yet unborn grandchildren know – and to stay in shape to able to travel and enjoy an active, fun-filled life with my wife Traci. CrossFit is the answer to a life long search for something worthwhile to invest the talents God has given me to make an impact on people and increase their health, wellness and quality of their lives. 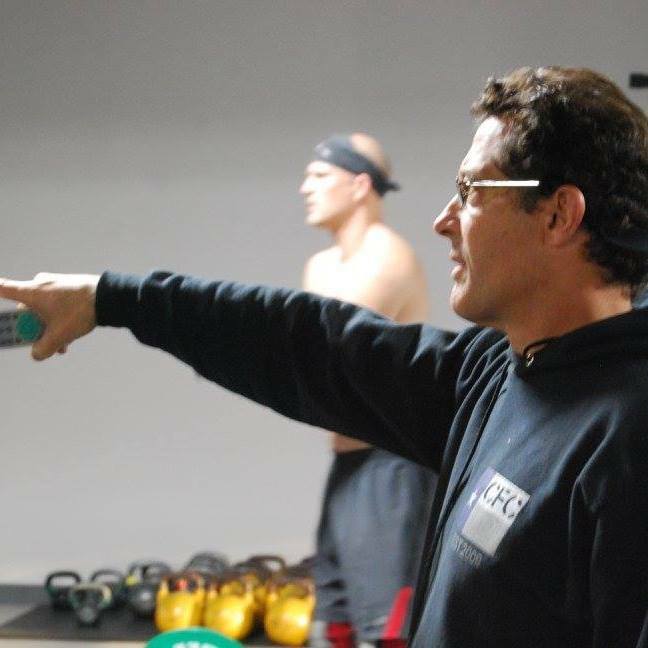 I received my Level 2 CrossFit trainer certification and have been coaching for about 2 years. My favorite movement is planking.